Hamstead & Associates is a well-established general practice law firm that has proudly served the community since 1987. The team is led by the firm’s founder, Braun A. Hamstead, and consists of his two paralegals. 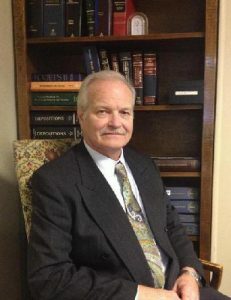 The firm’s lead attorney, Braun Hamstead, has been practicing law since 1987 and has a wide and varied plethora of experience. He began his career as Prosecutor of Jefferson County and then opened his own solo practice. He is a well seasoned and successful litigator. Mr. Hamstead also has experience serving as mediator and also as an adjunct professor of Environmental Law.